“A Scissor-tailed Flycatcher hatchling that I got in two years ago,” wrote Leslie Jackson, a rehabber in Tulsa, OK, and sent the ‘before’ photo above and the ‘after’ photo, six weeks later, below. “She was totally featherless except for a tuft of white on the crown of her head. This kid had been found in the driveway of a house on a brutally hot day, and they’d fed her tiny little grasshoppers and crickets for two days. When they lifted the lid of the box they’d brought her in, this tiny, helpless itty BITTY baby stuck her head straight up and screamed for food. A good sign, but …. “She couldn’t defecate. No matter what I did, what changes I made to her diet, she wouldn’t defecate. But at her age, I HAD to keep feeding her or she’d starve to death in a day at most. I gave her warm subcutaneous fluids in the groin area every couple of hours, and finally it worked. One week turned to two, then four …eight… her first set of feathers weren’t good enough to make migration, so I waited for new ones. 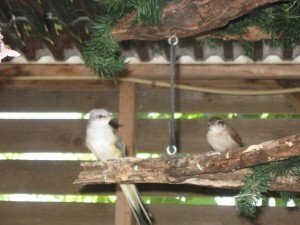 “She was in with other scissortails and kingbirds … every one of them as wild as I want them, except for Sophie. Sophie had serious doubts about whether she was really a bird. 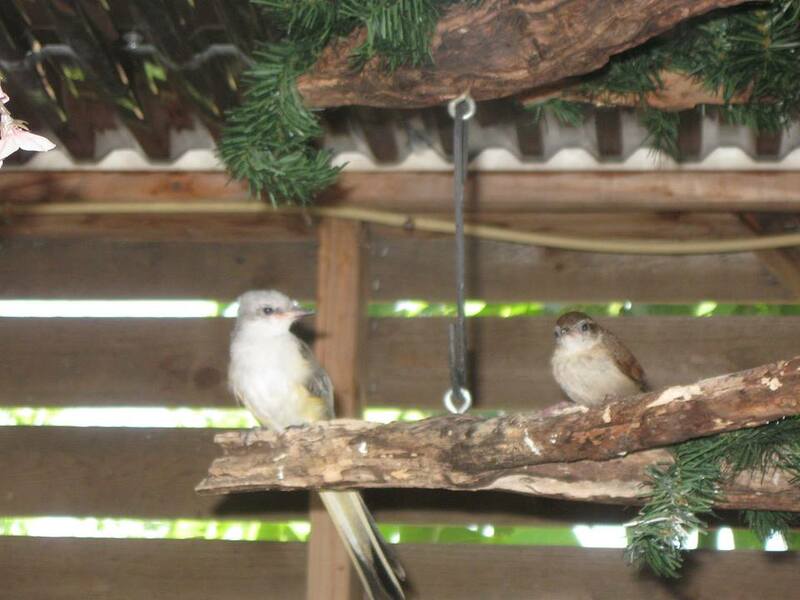 She’d sit and watch for hours as the other flycatchers swooped back and forth from their perches, grabbing the mealworms and superworms I’d throw into the air. August arrived and I was releasing birds knowing they’d need time to adapt prior to making that long flight across the Gulf of Mexico, headed to South America. “Long story made some what short,” wrote Heather Merritt, with Birds in Flight Sanctuary in Warren, Ohio. “We let a one-eyed Bald Eagle go after a year of battling state officials in Ohio, Pennsylvania, West Virginia, Indiana and Kentucky. Finally my colleague Doty worked her magic in Michigan, and we let him go there. We laugh because we are pretty darn sure he beat us back into Ohio. That was 9 years ago. Two years ago we got a call about an eagle hit by a car. When we arrived we looked and there was our one-eyed eagle, eating a raccoon that had been hit. We pulled up, and he flew off into a tree. We got a million pictures of him sitting in the tree. Last year he came back to our area with a female. They stayed all winter, then left again. I’m looking forward to this winter to see if they come back. “I’m with Cara, I find releases stressful,” said Veronica Bowers of Native Songbird Care and Conservation in Sebastopol, CA. “But lets see … I’d say one of my most memorable releases is that of a Purple Martin, a species of special concern in California. Out here, the PUMAs nest in natural cavities or in the weep holes located in the underside of overpasses. Their population is in serious decline, so their breeding colonies are monitored by biologists. Biologists are trying to get them to adopt nest boxes, but no luck with the CA birds so far. Maggie Rufo, who works with Veronica at NSCC in Sebastopol, remembers a juvenile Pileated Woodpecker she agreed to release where it had been found in Mendocino. “I volunteered to do the two hour trip because I thought it would be cool to be up close with a pileated (plus when I go to Veronica’s magic bird kingdom she lets me offer mealworms to the Cliff Swallows, who come flying over to me with their mouths open). I picked up the woodpecker and all the way there he pounded on the hard plastic carrier – the whole two hours. 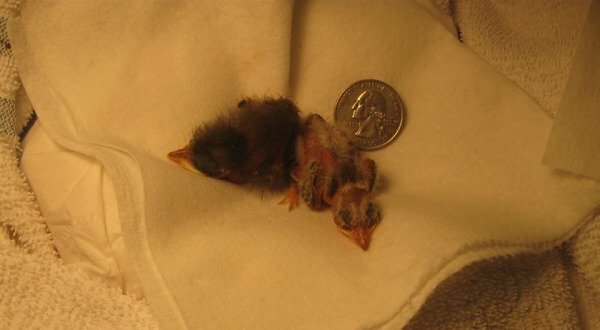 “I’ll never forget an orphaned Northern Cardinal nestling that I really fussed over a few years back,” said Arden Zich of Fox Valley Wildlife Center in Elburn, Illinois. “We thought we were done with babies for the season when that little nugget arrived, so he was able to get my full and undivided attention. 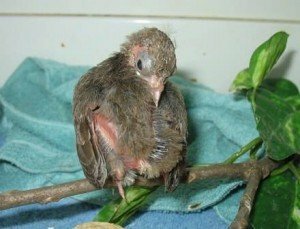 Discovering that this bird had personality for days was a gift; having to say goodbye was painful and bittersweet. The day following his release (which was into a tree for the evening), I was overjoyed to witness him hop around in the grass, peck at seeds, chase leaves, and zip around the yard in big circles. It seemed very playful, however, he would not fly beyond the fence. My perception is that he didn’t realize he was free to go. After a few hours, he boldly ventured on. Where Are You Birding This First Weekend of June 2008?